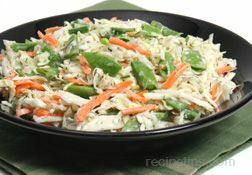 The sugar snap peas add a fresh sweet flavor to this quick and easy cole slaw recipe that makes a perfect summer side dish. 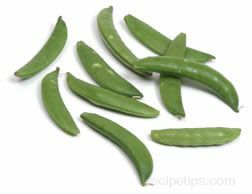 Rinse the sugar snap peas and then snap the stem end off the pods. 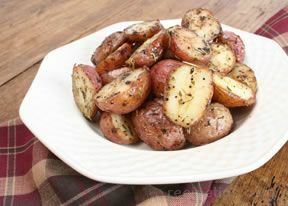 Cut the pods diagonally into small pieces. 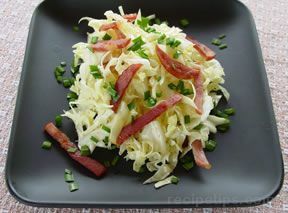 If using head cabbage, cut into thin slices. 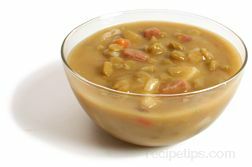 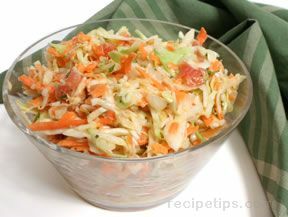 Place cabbage and peas into a large bowl for mixing. 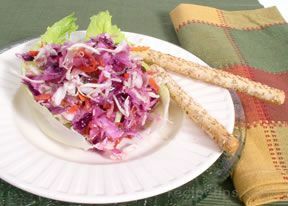 Toss the sugar snap peas and cabbage together until evenly distributed. 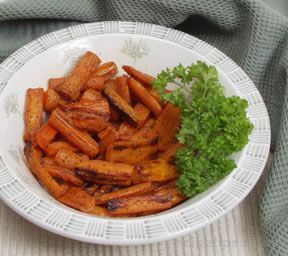 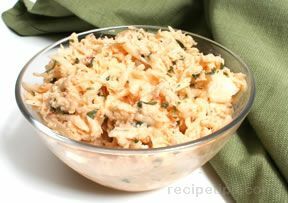 In a smaller bowl, add the buttermilk (shake before adding), sour cream, dill, garlic, sugar, vinegar, salt, and pepper. 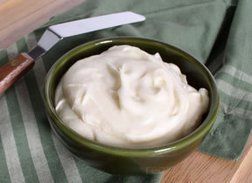 Whisk until all ingredients are well blended. 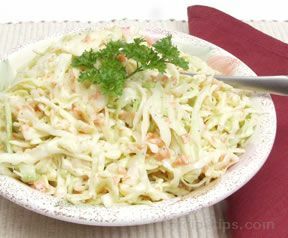 Pour the dressing over the peas and cabbage and stir until well coated. 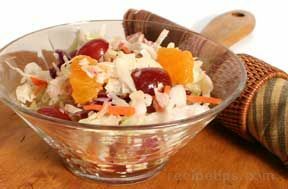 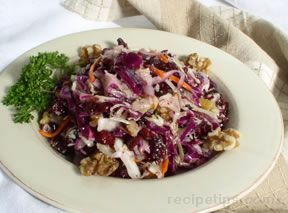 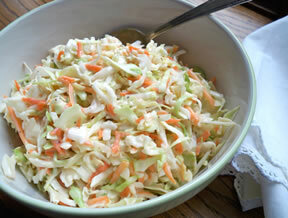 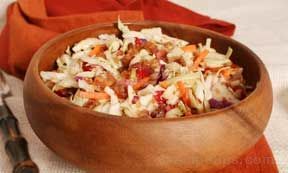 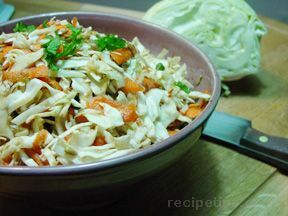 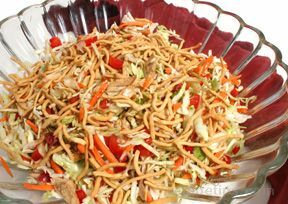 Pour the cole slaw into a smaller bowl and cover with plastic or place in an airtight container. 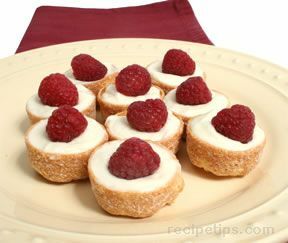 Refrigerate until well chilled. 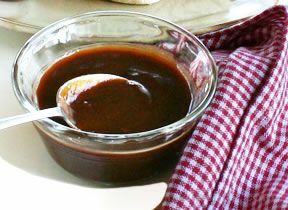 Approximately 2 hours. 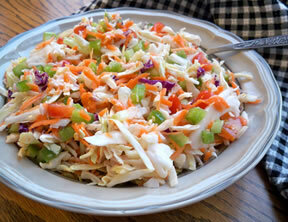 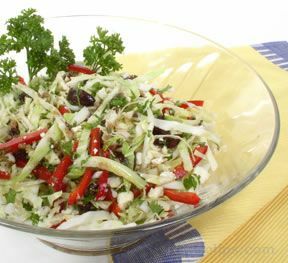 When thoroughly chilled, the cole slaw is ready to serve.